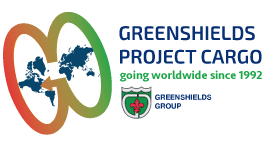 Greenshields Project Cargo e Move One offer services for logistic and clearance in Saudi. Please deal with us tel. 0039 0586 211131 e-mail info@projectcargo.it in order to get information and to arrange consignements. Note: Other paperwork will requested as per customs requirement depending on the nature of commodity. Do You Want to Ship Your Cargo to Saudi? Contact Us.